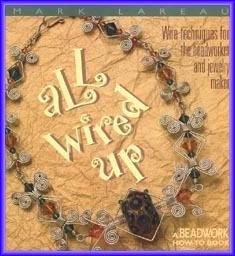 The step-by-step techniques featured in this richly illustrated book take the beginner who knows little about wirework on a journey to creating artistic and unique free-form jewelry. Using round wire that is readily available and economically viable, wireworkers learn everything from how to hold pliers to how to make ear wires, hook-and-eye closures, and cages for marbles and cabochons. Line drawings, photographs of finished objects, and a wirework gallery of pieces by the author and other contemporary wirework artists provide sample creations and ideas for the innovative wireworker.